Christmas Magic (York): Christmas Magic is a half-mile trail that winds through York’s Rocky Ridge County Park, illuminated by 600,000 Christmas lights and a series of animations. So grab a cup of hot chocolate and bring the entire family to this winter wonderland here in the heart of Pennsylvania. Christmas Magic is so beloved that it’s been named a top 10 holiday event in Pennsylvania by The Philadelphia Inquirer, and the Wall Street Journal even included it in a list of the top 13 holiday events in the country. Don’t miss this special event this year, and make it a family tradition for years to come. Christmas Magic begins in late November. Christmas in Hershey: Find more than 4 million twinkling Christmas lights in Hersheypark® as part of the annual Christmas in Hershey celebration. At Candylane®, you can ride some of the amusement park’s roller coasters and even visit Santa and his reindeer for hot roasted nuts and some Christmas carols. You can even enjoy Christmas in Hershey without getting out of your warm vehicle. Drive the Hershey Sweet Lights display, which is a two-mile path cutting through the woods and decorated with more than 600 animated displays. Christmas in Hershey begins in mid-November each year. Christmas at Elizabeth Farms (Lancaster): Starting in late November and running through mid-December, Christmas at Elizabeth Farms rings in the holiday season in Lancaster, Pennsylvania. Elizabeth Farms is the largest live Christmas tree farm in the area, having operated since 1758. You’ll find more than 200 acres of live Christmas trees, as well as horse-drawn carriage rides that let you see the scenery at no additional cost. Find Santa’s workshop and treat the whole family to hot drinks, toy train runs and much holiday decoration and cheer. The Pennsylvania Christmas and Gift Show (Harrisburg): Running for just a few days in early December, the Pennsylvania Christmas and Gift Show includes more than 750 vendors in the state capital. In addition to the vendors and their products, enjoy train displays, decorated trees, a Christmas shop, a children’s workshop and visits from Santa. 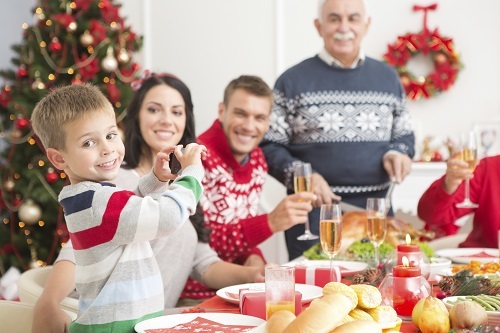 Special moments like the holidays are a big part of the family experience. When you’re looking for a place to live in York, Pennsylvania, or surrounding areas, the team at CENTURY 21 Core Partners can help you make the best possible choice for you and your family. We consider everything from the neighborhood to the schools to seasonal events like those you’ll find around the holidays.